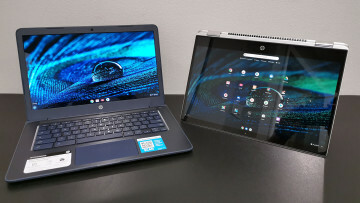 HP unveils its thinnest, lightest notebook ever, "built in collaboration with Microsoft"
Last year, we reviewed HP's EliteBook Folio 1020, and we came away impressed with what it had to offer. 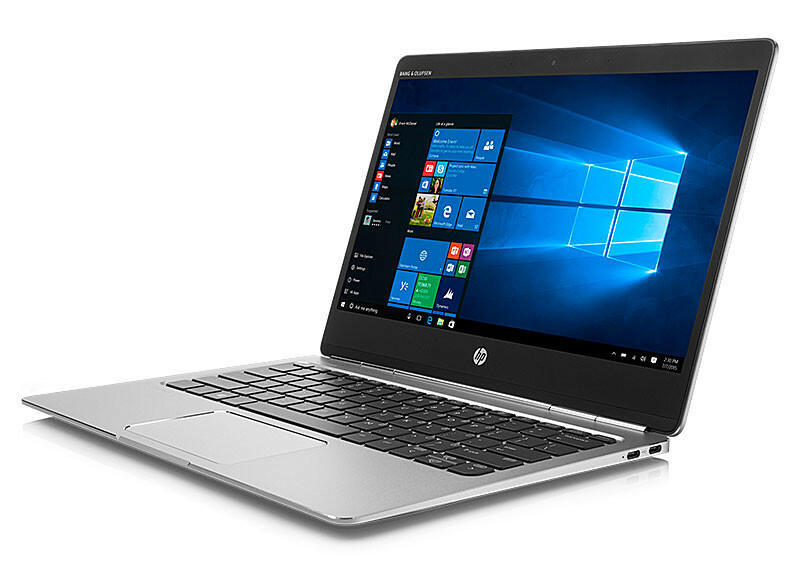 Today, HP unveiled a new version of the device, which it says is "21 percent slimmer and up to 15 percent lighter" than the 1020, making it "the thinnest and lightest notebook HP has ever created". Indeed, HP notes that the new EliteBook Folio's 12.4mm profile makes it even thinner than an AA battery, and it weighs less than 1kg, thanks to a "polished diamond-cut CNC aluminum body". 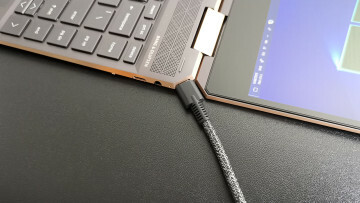 "180-degree piano hinge, allowing the device to open completely flat"
The Windows Blog notes that the new EliteBook Folio was "built in collaboration with Microsoft and Skype for Business to deliver a first-class experience for users". 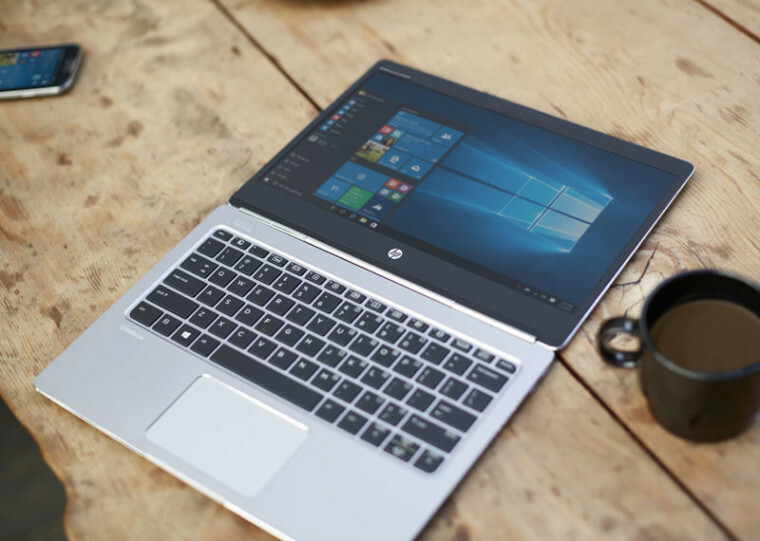 Microsoft and HP engineers worked closely on the development of the EliteBook Folio for more than a year to deliver the best Skype for Business experience. 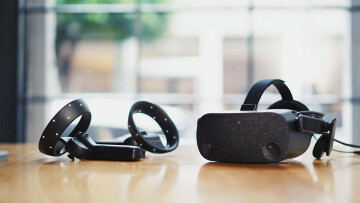 The result is a device that offers a premium collaboration experience when speaking or listening to calls using Skype for Business. Microsoft also made a point of highlighting its work with HP and Intel on "tuning device drivers and the design to optimize performance and battery life for people who require all-day productivity and performance." 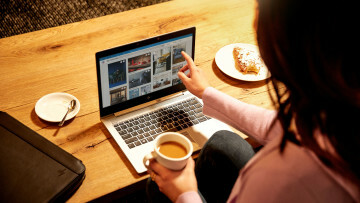 IT no longer has to trade off form for function or introduce potential risks into their corporate environment with HP’s new Elite family of premium laptops, desktops and tablets including the new EliteBook Folio– devices that are more secure and more manageable than previous generations. These devices are designed to delight IT professionals tasked with managing and securing their company’s fleet of devices with built-in, not bolted on security including: HP Client Security Software Suite, certified TPM, enhanced BIOS-level protection with HP Sure Start with Dynamic Protection, and an optional hardened fingerprint reader. For additional manageability support, HP also offers customers additional manageability tools like HP Touchpoint Manager15 , HP Image Assistant and an optional Intel® Core™ vPro™ processor so IT can remotely manage the device over wired and wireless networks. HP Touchpoint Manager now features software inventory and deployment, as well as patch management, and support for BYOD devices, expanding the IT admin’s ability to secure and optimize devices from a single dashboard. The new HP Image Assistant is the first custom image diagnostics tool for commercial PCs with a self-help dashboard16 to help enterprises reduce IT costs and protect sensitive company data. The new EliteBook Folio is expected to go on sale in March, with prices starting at $999.